Indian Creek Braves Varsity ran off with the lead late in the game in an 8-5 victory over Beech Grove Hornets Varsity on Tuesday. The game was tied at three with Indian Creek Braves Varsity batting in the top of the fifth when Rachel Kyle’s sac fly scored one run for Indian Creek Braves Varsity. Beech Grove Hornets Varsity got things moving in the first inning, when Mallory Storms lined out, driving in a run. Beech Grove Hornets Varsity knotted the game up at three in the bottom of the fourth inning, when Haven Price singled on a 2-2 count, scoring one run. Indian Creek Braves Varsity tallied three runs in the seventh inning. Kyle, Sydney Logsdon, and Michaela Denney all moved runners across the plate with RBIs in the inning. Jacqui Button earned the win for Indian Creek Braves Varsity. She allowed two hits and two runs over three and two-thirds innings, striking out three and walking one. Lexi Ham took the loss for Beech Grove Hornets Varsity. She surrendered eight runs on 11 hits over seven innings, striking out four. Indian Creek Braves Varsity totaled 11 hits in the game. Kasey Wilhoit, Logsdon, and Kyle all managed multiple hits for Indian Creek Braves Varsity. 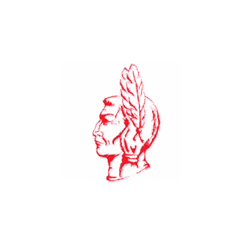 Logsdon and Wilhoit each collected three hits to lead Indian Creek Braves Varsity. Tia O’Connor went 2-for-4 at the plate to lead Beech Grove Hornets Varsity in hits.